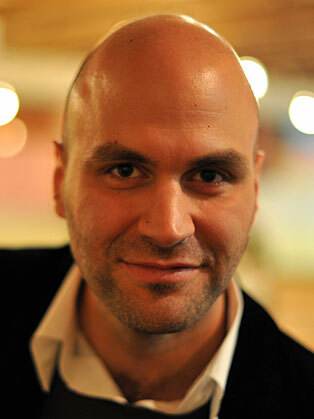 Paul Papadimitriou is the expert of the emerging digital revolution and its transformative effect on businesses. Paul is the founder of Intelligencr, an innovation scouting firm he started in Tokyo in 2008. He has recently been at the helm of the road-to-market strategy for the Ubuntu phone OS, in Europe and China. Spanning across countries and cultures, new generations with new values, enhanced by new technologies are disrupting the economics of marketplaces. New business models are arising, feeding off new identities. Paul maps the dots between macro and micro trends. He looks at the world of cultures, politics, economics and technologies to find the DNA of digital and identities, building business foresight—Digital Intelligence—to guide clients through the opportunities and challenges of innovation, closing the loop between offline and online behaviors. He founded Intelligencr in 2008, an innovation strategy firm, via which he translates the world of digital, mobile and social into business experiences shaped for a new augmented, nomadic and tribal consumer. Paul is an alumni of the Graduate Institute of International Studies where he quenched his thirst for a global perspective of future challenges. He has experienced the life of startups and the one of a lobbyist. He’s been active in digital for 20 years, in mobile for 15.